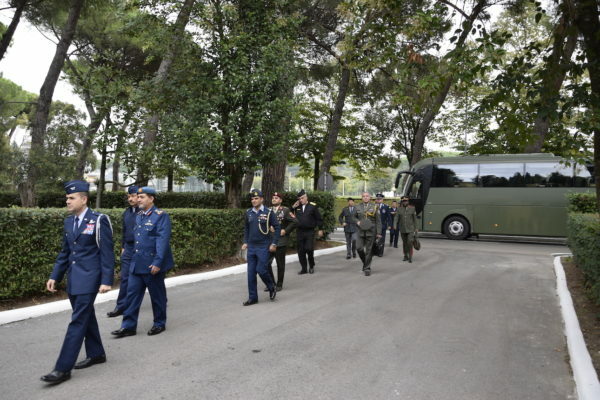 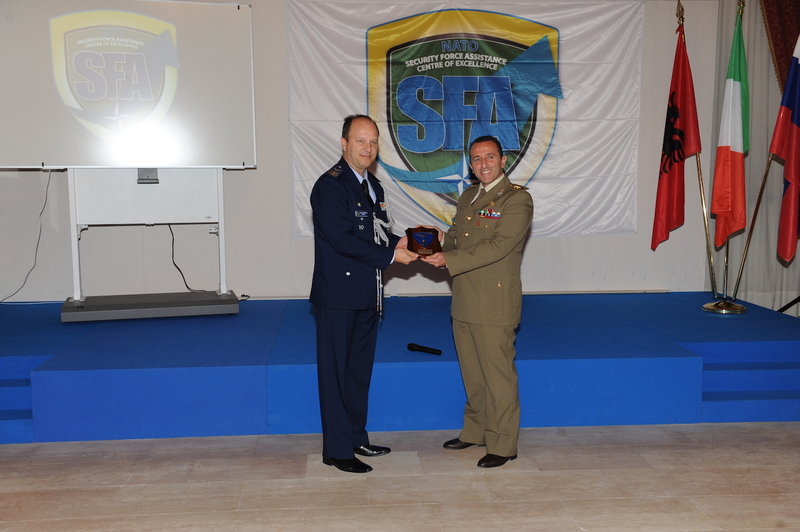 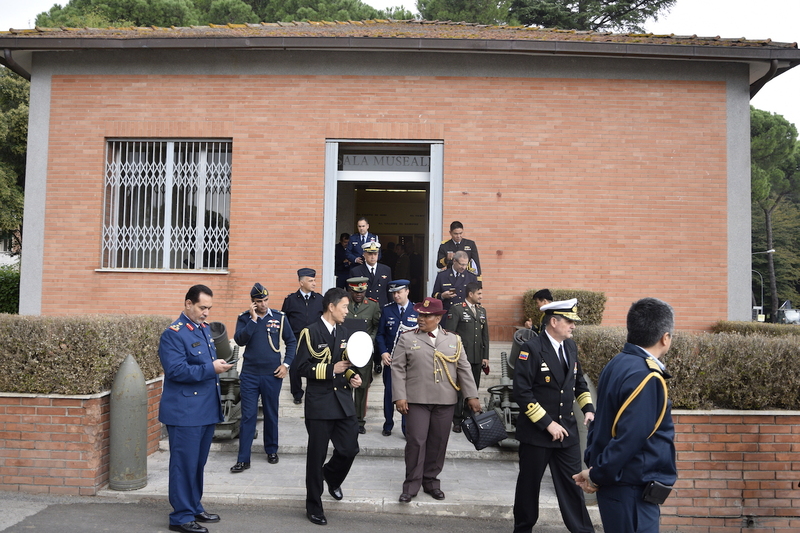 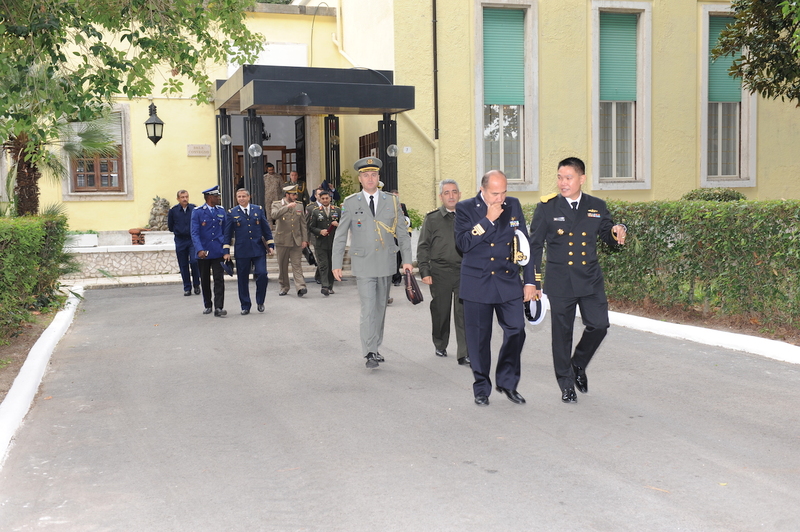 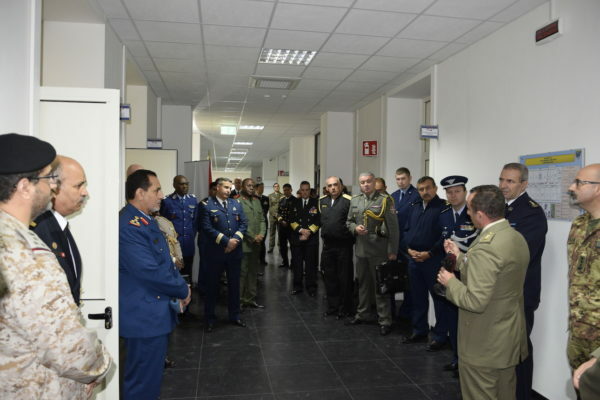 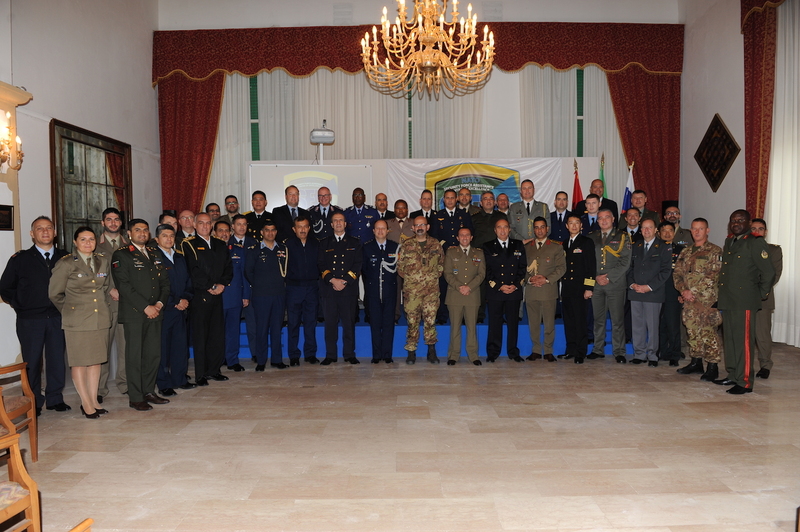 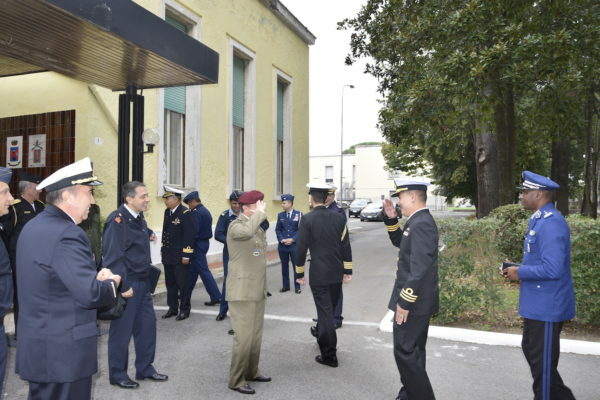 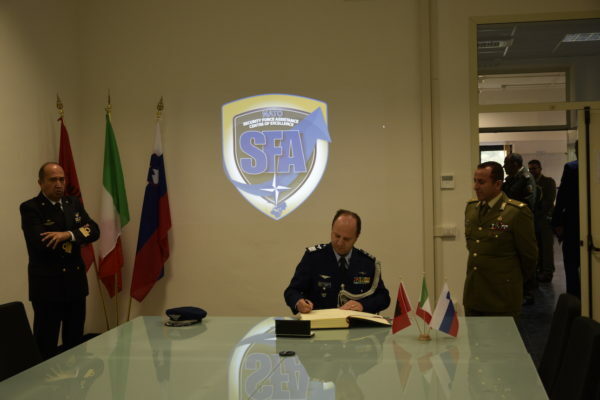 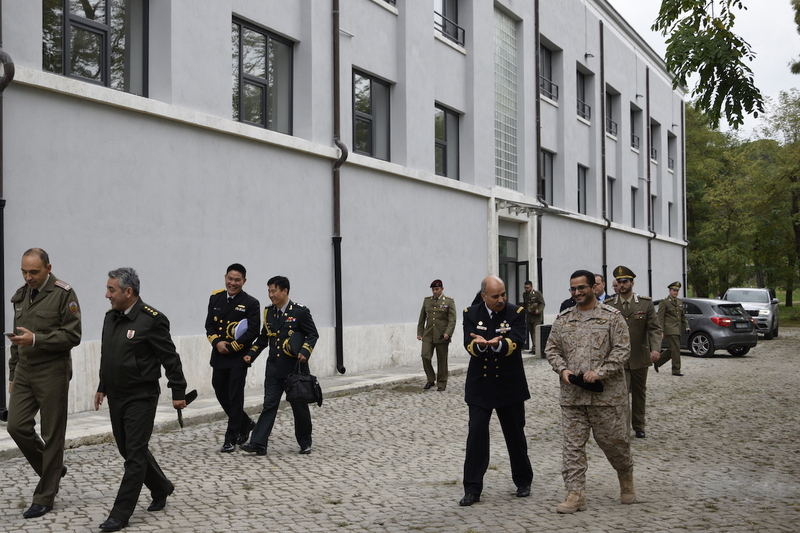 Friday, 26th of October, 2018, Thirty-six Foreign military attachés, accompanied by a delegation of the second Department of Information and Security of the Defence General Staff, led by the Frigate Captain Matteo Minelli, visited the NATO Security Force Assistance Centre of Excellence (NATO SFA COE) located in Cesano di Roma. 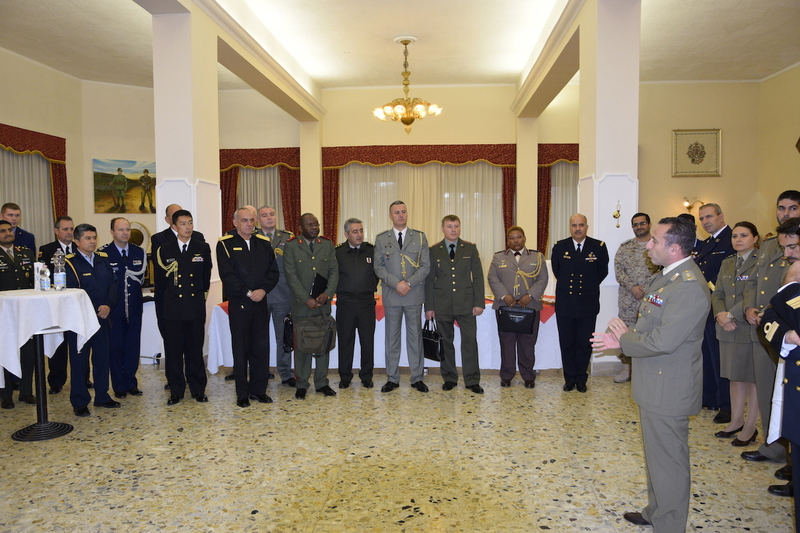 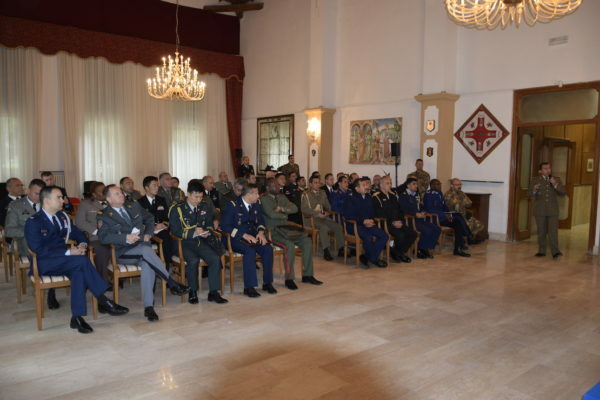 The delegation, composed of 36 attachés from all over the world, was welcomed by the NATO SFA COE’s Chief of Staff, Lieutenant Colonel Massimo Moncada and by the Infantry school’s Chief of Staff, Colonel Massimiliano Carella at the Officers Club, where a small refreshment was offered. 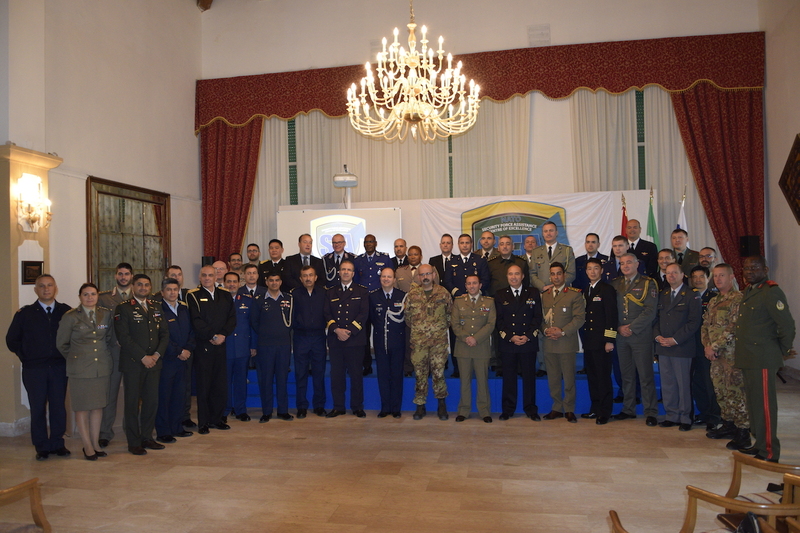 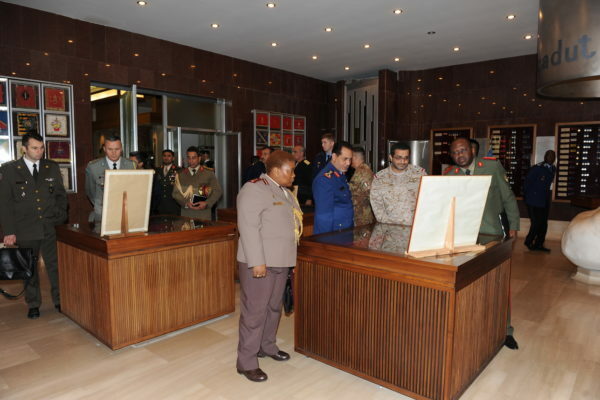 Subsequently, the Centre’s staff presented and illustrated an informative briefing focused on the structure, organization and capabilities of the Centre and addressed with the delegation the issues inherent to the motivations that led Italy and NATO to the establishment of this Centre of Excellence. 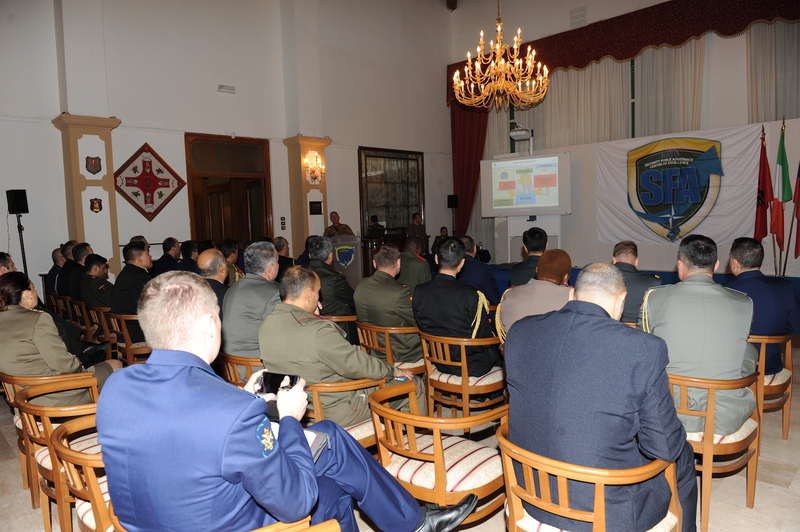 The main point that was discussed was the necessity to have within the armed force and the whole alliance well-trained personnel, possessing excellent technical-operative capacities, culturally prepared and equipped with adequate linguistic preparation in the of Security Force Assistance field, which is considered the reference approach in the conduct of Stabilization and Reconstruction operations and the Security Sector Reform. The presentation continued with the main activities that have been carried out, focusing on basic and advanced SFA courses for international staff officials and with defining the profile of the SFA operator, starting from the strategic level up to the tactical one , in order to establish the fundamental characteristics of the actors involved in training, consultancy and assistance activities. The following topics were the Centre’s forthcoming projects, such as the Workshop on Strategic Advisor, that will be held in Rome in December, aimed at analysing SFA activities from different points of view and creating a forum of discussion on the evolution of the Stabilisation concept from the 2010 Lisbon Summit until now. 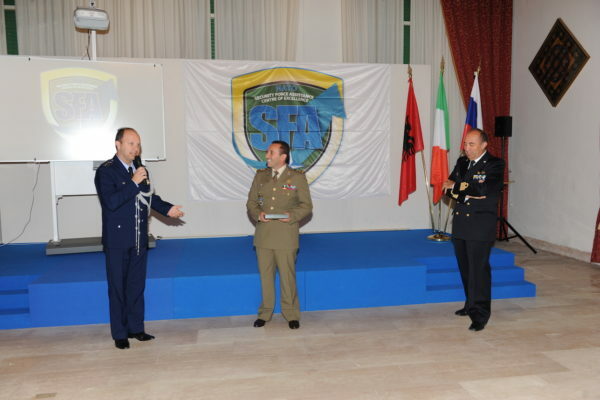 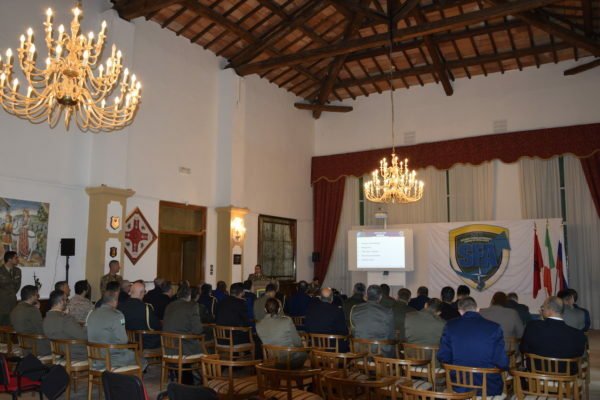 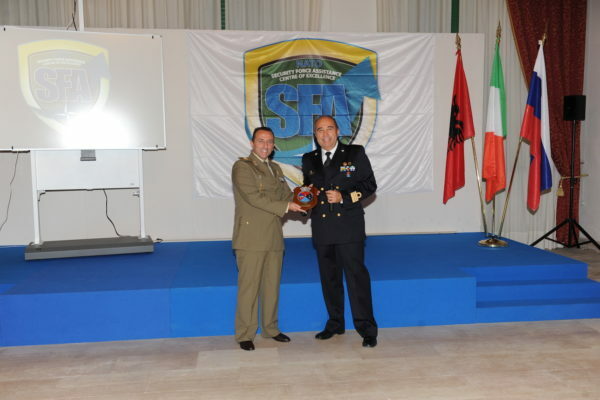 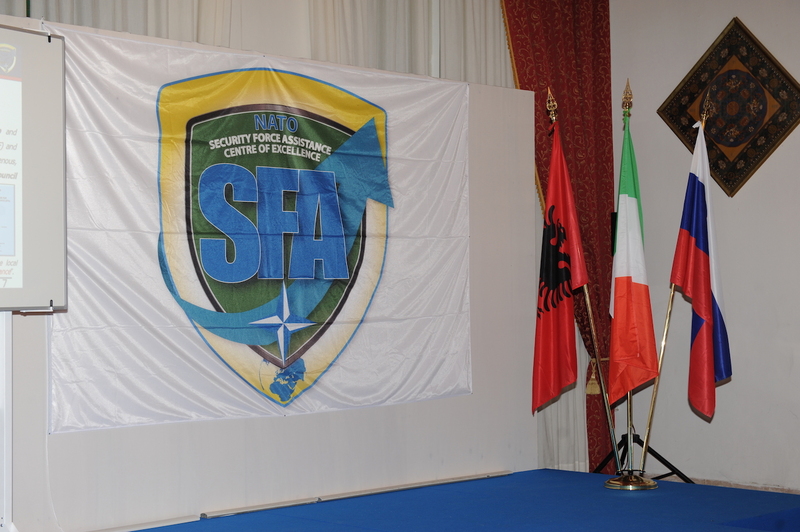 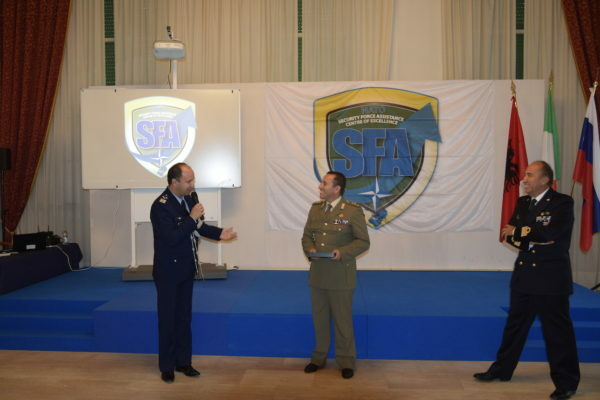 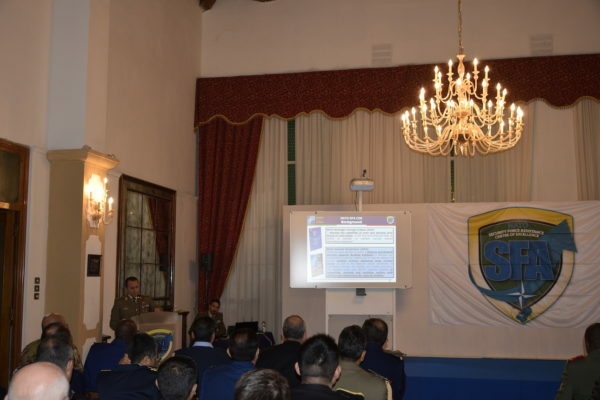 In addition to the NATO Centre’s presentation, Lieutenant Colonel Cicuto, head of the national SFA section, presented the activities carried out by the National Centre inside the Infantry school with particular reference to the training that it offers to national and foreign units in the field of SFA. 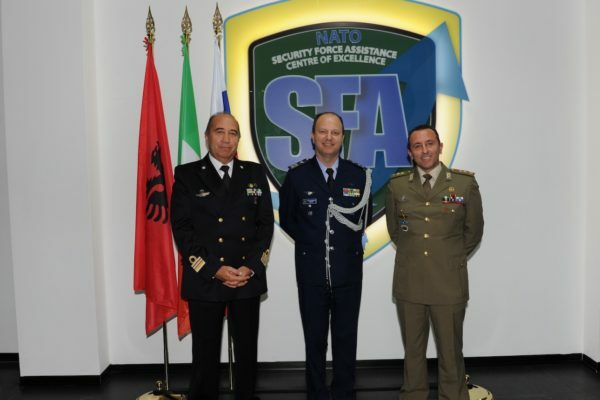 At the end of the briefing, the delegation visited the NATO SFA COE structure, where they signed the honorary Register, received the Centre’s Crest by the Chief of Staff and took the traditional group photo. 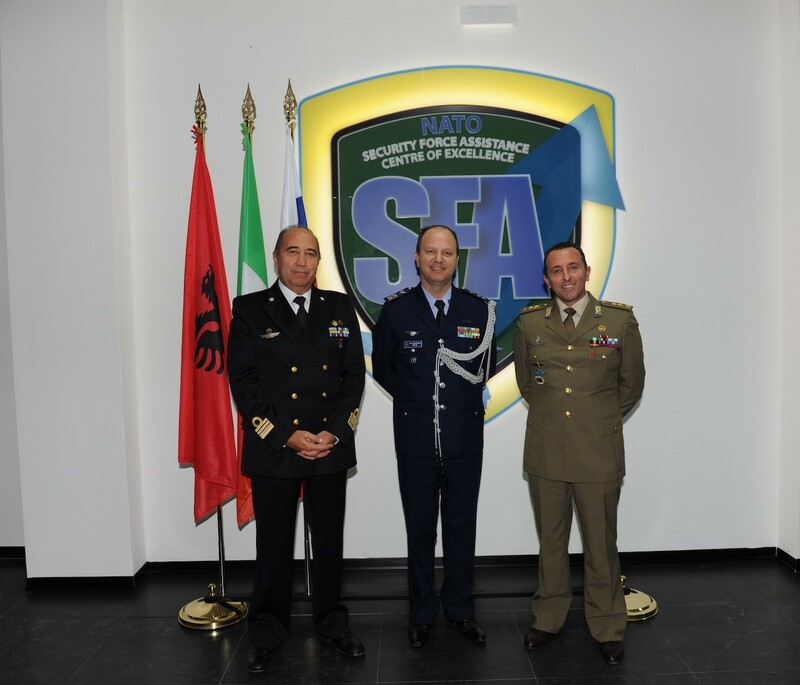 The Centre has become an internationally recognised focal point for the capabilities of NATO, Nations and other partners, by providing expertise and support in the field of Security Force Assistance. 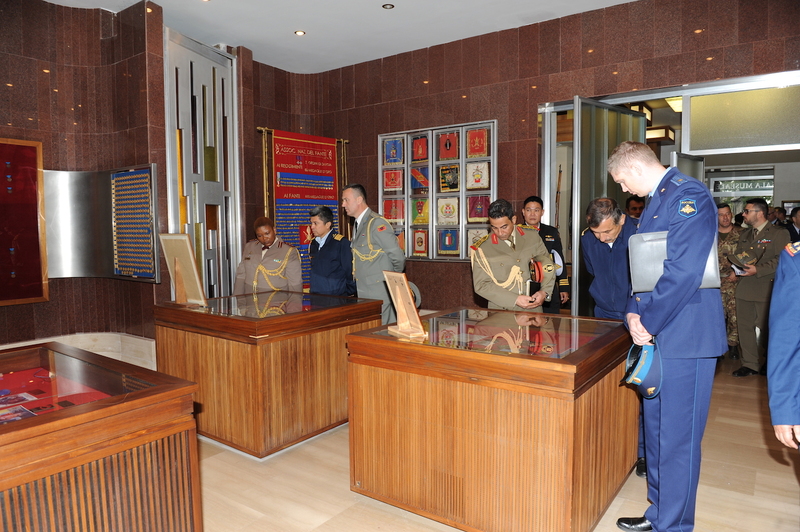 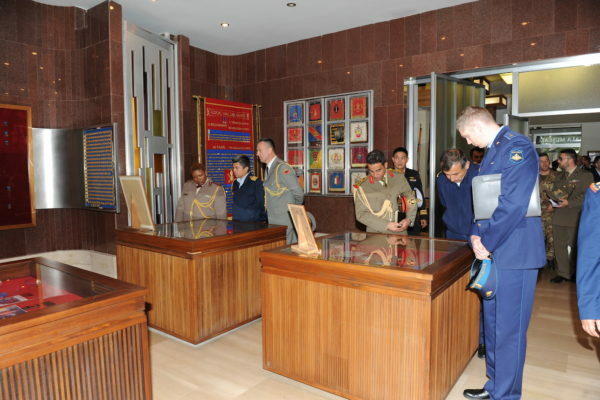 The activity ended with a visit to the Infantry School’s Museum.